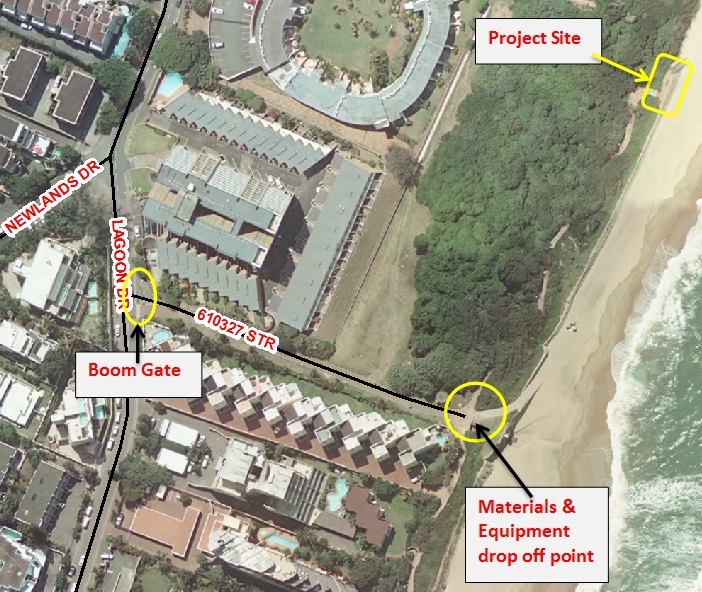 On request from the UIP, the Municipality will commence with an upgrade to the beach access point in front of the Breakers Resort on Monday 13th April 2015. The project will provide a small platform with balustrade that will be better suited to the high usage of this access. This will reduce the impact on the surrounding dune and vegetation. New benches will also be provided. The contract period is 2 weeks but the contractor will endeavour to complete the project ahead of schedule. The beach access will be closed to the public for about 4 days starting on 13th April. This closure is to ensure the health and safety regulations are complied with. When partially complete and safe, sections of the deck will be open to use by the public. Every effort will be made to keep disturbances to a minimum during this period and the municipality apologise for any potential inconveniences that may be caused during this time.